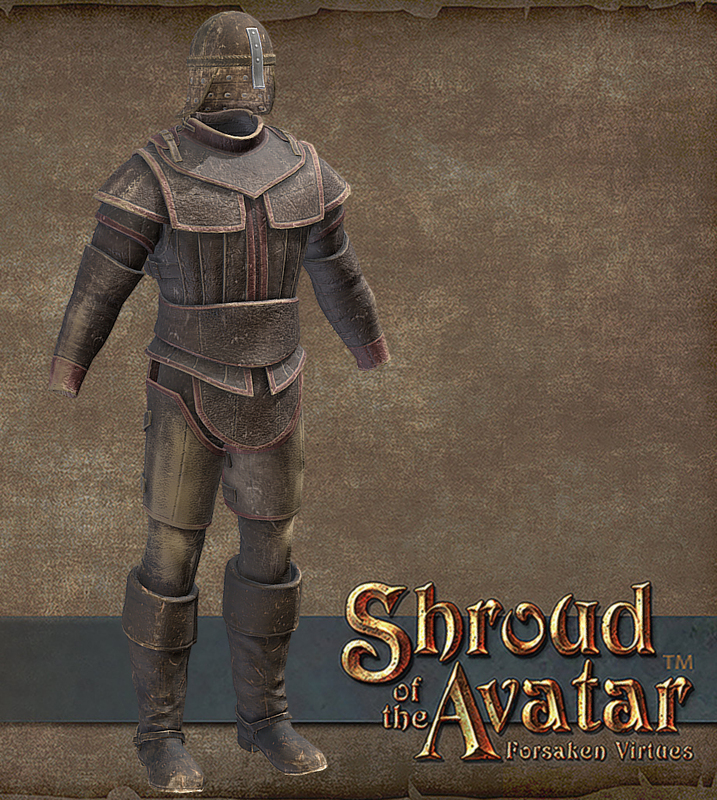 Avatar’s Update #275: New Armor and Scenes! 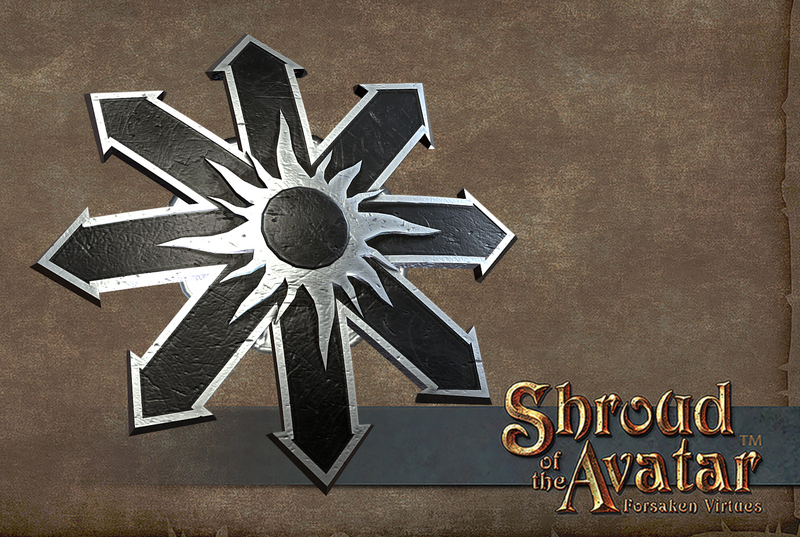 Discussion in 'Shroud of the Avatar Discussion Hall' started by SotA Stratics, Apr 13, 2018. 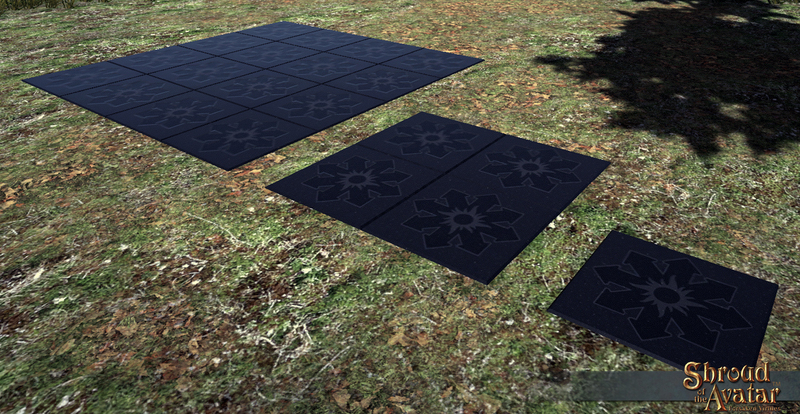 We finished the last two Darkstarr items: The Darkstarr Chaos shield and the Darkstarr pavers! Eastmarch is a village on the southeast coast of Drachvald near the Vauban pass. The famous song by the bard Iolo, “The Baron of Eastmarch”, was written about a baron of this town before the keep fell into ruin after repeated attacks from undead. 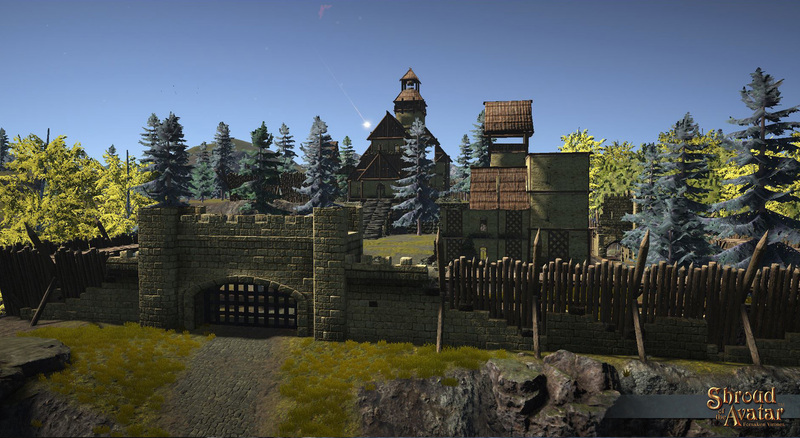 In recent times the locals have been strengthening their defenses with watchtowers and patching up the ruined keep walls so that the keep can be used as a refuge during undead attacks. I have a few more screenshots as promised. 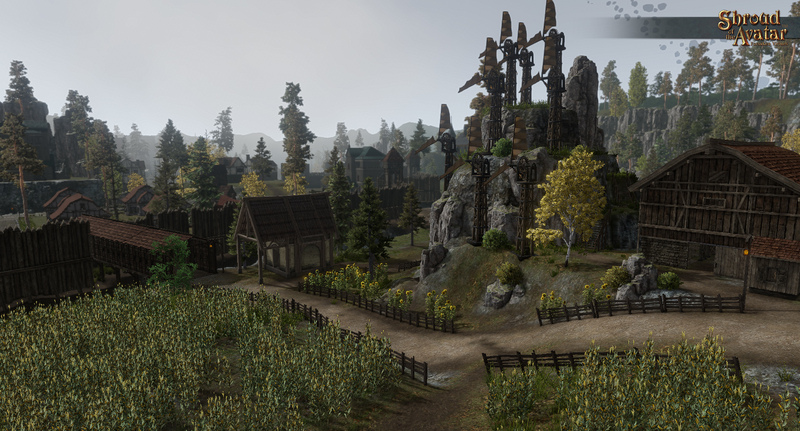 The town of eastmarch will now show evidence of their struggle with the undead, without severely changing the aesthetic of the map as a place where people would want to live. There are several watchtower surrounding the town to give warning of undead attacks. The villagers have reinforced the defenses of the ruined barons keep, to use as a refuge in the event of an undead attack. Because this map is fairly large, I decided to go with a split biome to make the area feel more diverse. The lowlands have patches of deciduous aspen forests, while the upper areas are home to more coniferous plants. The town’s main virtue theme is humility, which is represented by a shepherds crook, and I wanted to reinforce this theme, so the scene overall is a lot more open now rather than densely forested. You may come across a few grazing animals here and there. Something I’ve always done when uncloning non-combat areas is included a few easter eggs for players to find, and I’ll be continuing that trend with this scene. Penmawr Island is a Tier 4 island in the Bay of Storms in the South Paladis region directly south of Jaanaford. 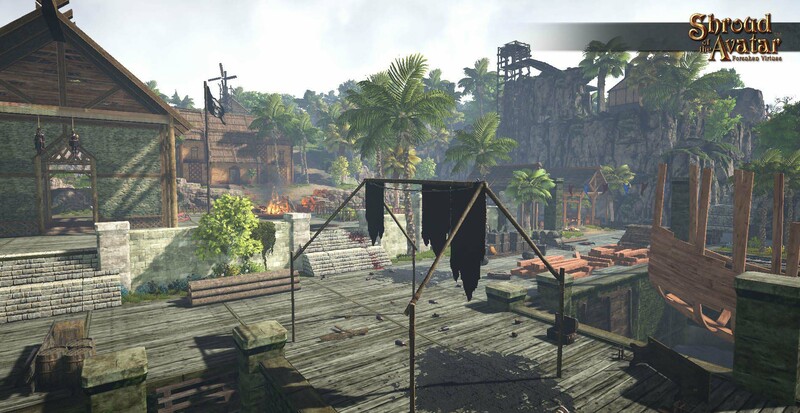 The island is a haven of pirates, plunderers, and bandits but the dock area has recently been overrun by undead. The windward side of the island.. good place to play a melancholy shanty. What’s this eerie ship run aground on the north shore? Tenebris Harbor was once a thriving town on the coast of the Bay of Storms in the South Paladis region west of Jaanaford. 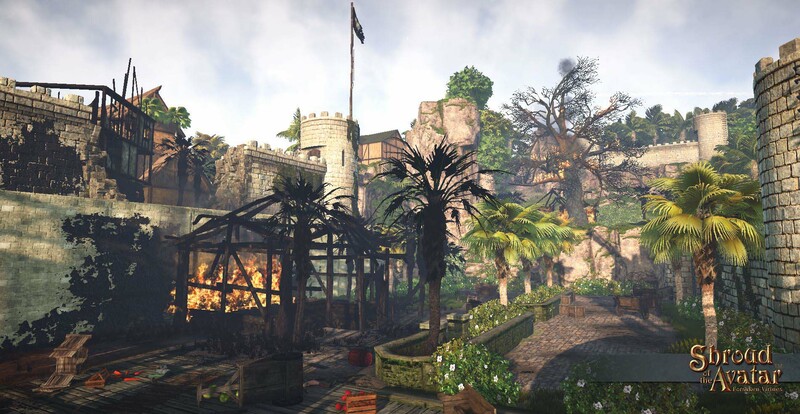 The town has recently been attacked and taken over by pirates and plunderers who have burned down whole sections of the town. For the first few days of the release parts of the town will be on fire and the bodies of the residents will litter the streets but soon those fires will go out and the bodies will get cleaned up and the town will settle into the long term plundered and ruined state. This is a Tier 5 scene so be prepared for a challenge! Hey guys! SorcerousSteve here to give you the latest on Tenebris Harbor! 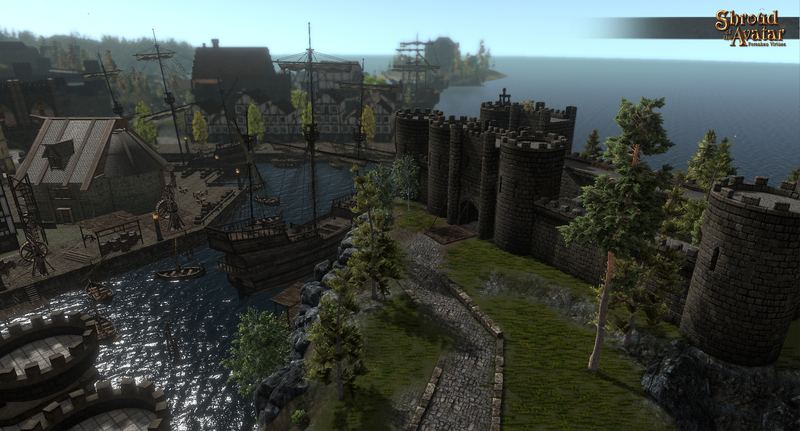 A wideshot of the Tenebris Harbor countryside, with the shipyard in the center. 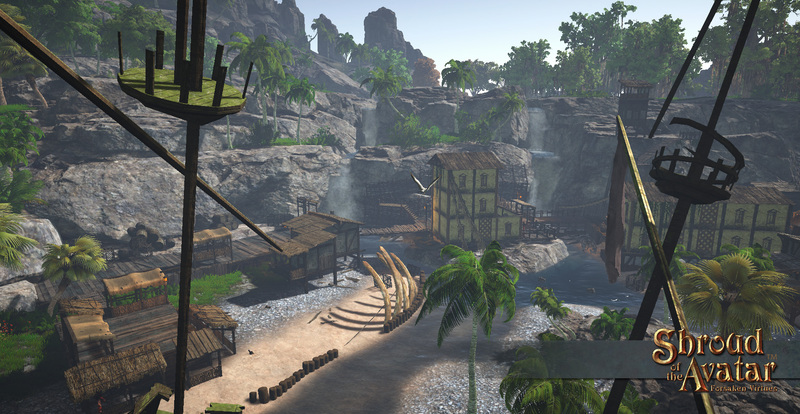 The Tenebris Harbor Shipyard, a new galleon keel can be seen being built in the foreground. 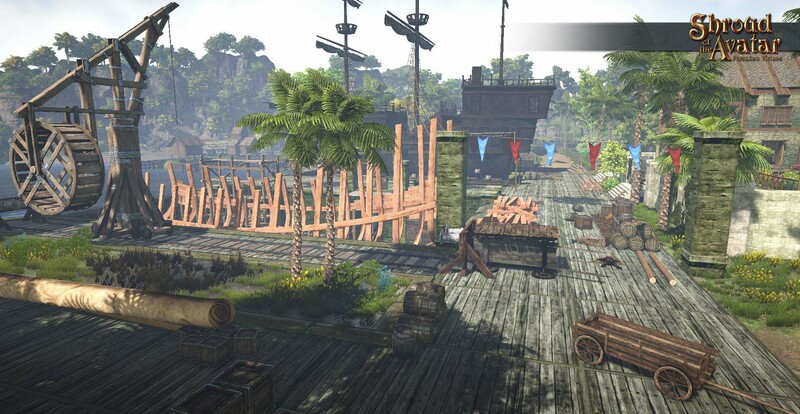 The shipyard now littered with liquor bottles has become a base of operations for the pirate plunderers while on the left some of the shipyard staff can be seen hanging. Looking north of the docks where the heaviest looting took place. 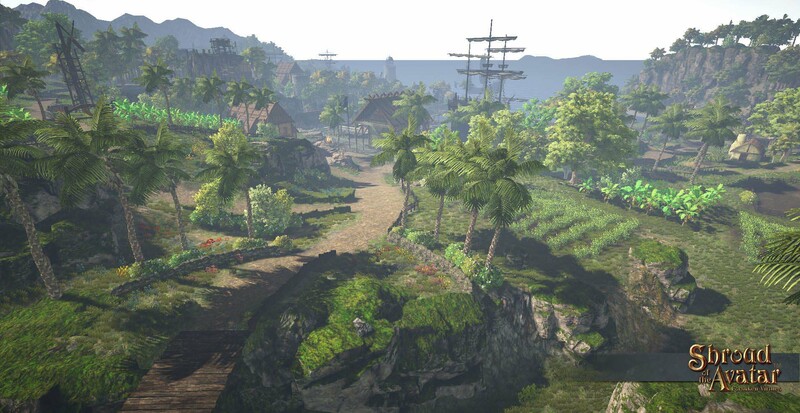 Fires dot Tenebris Harbor amidst the lush greenery of a once thriving port town. 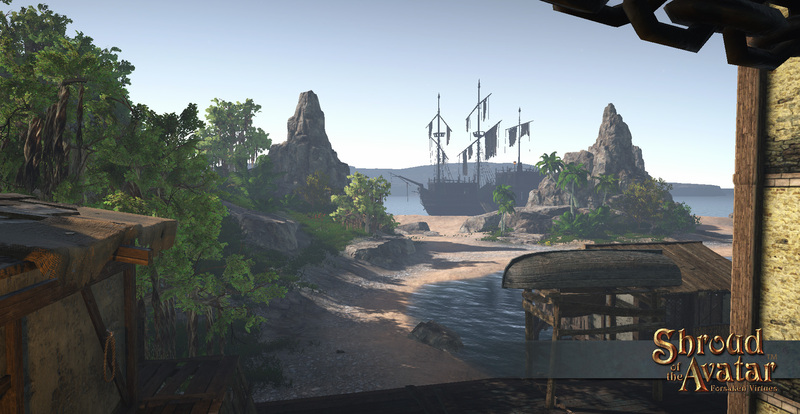 The pirate galleon that brought the relentless waves of pirates can be seen off the Tenebris Harbor Coast. Be sure to checkout Tenebris Harbor this R53! YouTube: We got the video of the livestream posted to youtube for those of you who missed it. Missed Questions: We had over 10 pages of questions left unanswered after the R52 Livestream! 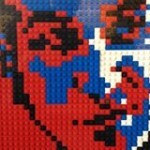 With assistance from the team we were able to get to those questions and we posted them to the forums Thursday. Here are the questions that we did not have time to get to during the R52 Livestream (which is also now on youtube). I tried my best to answer these (with help from the rest of the team) but some we just don’t have details yet to provide. I probably won’t have time to do any follow ups to these. The community did a great job assisting us this telethon to make sure we didn’t miss a single question. Please note I deleted some duplicate questions and also deleted any questions that we answered with the Q2 post or with the release of R52 or that we answered in previous livestreams. Also note that we are generally going to stop answering questions about “when?” as those are answered by our quarterly schedule posts and any other answers are going to be either “No ETA” or “soon” or “will update with the next quarterly post”. A final thought: we see a LOT of repeat questions and requests. Please consider reading one of the other missed question posts, watching one of the previous livestreams, reading one of the transcripts, and/or reading our Post Episode 1 plan post before posting a question. Your question might have already been answered. StarLord: Will European/Travian players be able to participate in the funding/flash sales/prizes? STARR: We track all funds regardless of their origin when we do the stretch goals. So if you purchase from the Black Sun or the Travian site your purchase counts towards the stretch goal and makes you eligible for the rewards. Additionally we are going to make it so in the future the sales are synched and we are even considering having the be longer than just the duration of the livestream. Oplek: Now that COTO prices are high, do you expect that COTO drop rates will increases? CHRIS: We actually doubled the drop rate just before launch and I’m keeping an eye on it. I don’t believe the price would be affected much unless we had 10x more drop. The price is still fluctuating a lot with more players coming in and I’ll keep an eye on it but the current trend is actually downward after a slow climb for weeks leading up to release. I suspect this is due to lots of new crowns in the game from KS backers who wait until now to play. The Lacedaemonian: what are your thoughts on dexterity possibly decreasing fizzle chance or fizzle chance while moving? CHRIS: Hrm… I could see dex countering some of the fizzle from armor maybe or reducing the Armor multiplier. That is the thing that makes it harder to cast spells on the left half of the tree in heavy armor. I’ll think on it…. Barugon: Does the Backstab skill in the Subterfuge tree work with ranged weapons? Llorayne: Can we please STOP auto-attack from agro’ing a new target that isn’t attacking us? Eli: what’s the biggest thing coming for PvP this year? CHRIS: What Starr said plus BALANCE improvements and more counter options. When we first began our Crowdfunding campaign we created Store Credits to help facilitate the ability for players to purchase and store funds for future spending. As we have moved out of the Crowdfunding and Early Access phase and into commercial sales we have to review and revise several of our monetary policies. One of those that went into effect recently was was our legal obligation to charge taxes for specific territories. Another one of these is Store Credits which are not compatible with international banking laws for specific territories. Our goal is to provide high quality, fair, and whenever possible, consistent service to all our global customers. Therefore we have made the decision to phase out Store Credits worldwide, rather then just removing them in some territories, while keeping them in other territories (like the US). We do not want anyone to lose any value in this process so we are going to do an equal value exchange of all Store Credits and Store Credit Coupons worldwide to Gold Crowns on Monday May 7 at 11:00 AM CDT US. Whatever the amount of store credits you have as of that time and date you will get the best and closest exchange rate. For example if you have $100 in store credit you will receive 115 crowns. This will affect all Portalarium, Travian, and Black Sun customers. 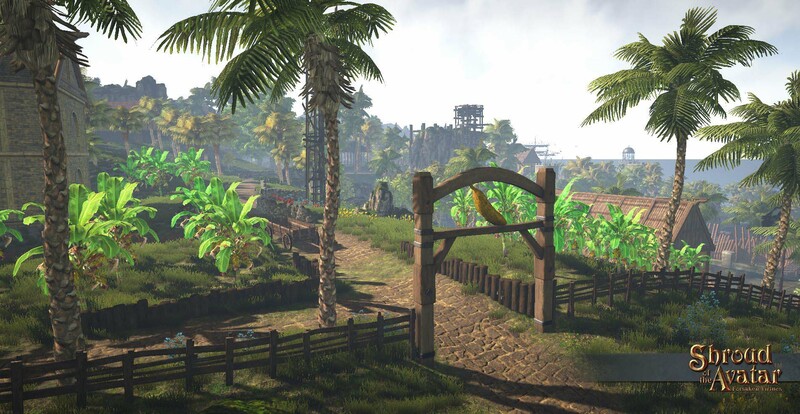 Note that we are investigating the possibility of adding the ability to spend Gold Crowns on the website but in the meantime you can spend them in game at any of our many Gold Crown Merchants. Additionally we are going to be adding Bundles to the in-game Crown Merchants in the next couple of releases (albeit without the ability to upgrade). Calling all livestreamers and livestream viewers across New Britannia! It is time we get the word out to new players and veteran Avatars about your channels. We’ve seen so many great in-game adventures being shown, we want to spotlight them for everyone else to experience! We are announcing today a calendar program to make it easier for everyone to tune into their favorite streamer, and to support those who stream Shroud of the Avatar. Want to know when someone is on the air? Our calendar will have them listed! See below for how you can be a part of this exciting new program. 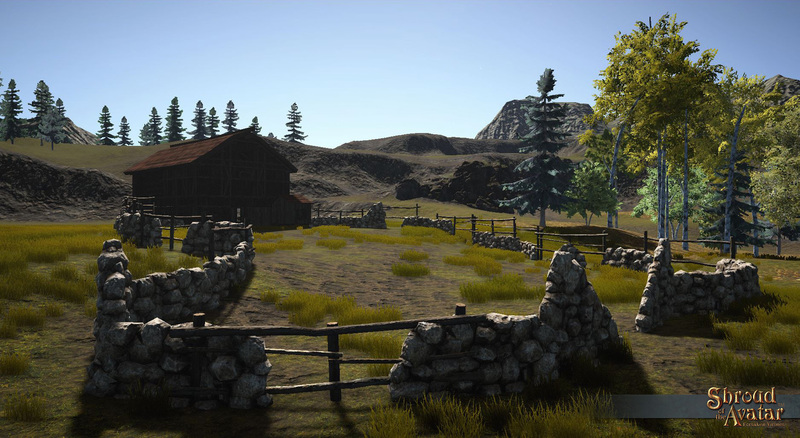 The Lot Deed Raffle returns in Release 52! Raffle tickets can be purchased with in-game gold from home merchants. 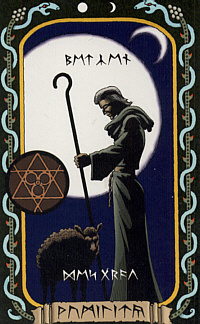 Each person can only win a single deed of each type (maximum of one place anywhere and one POT). The drawing will occur and winners will be announced in R53. Raffle tickets grant the holder a chance to win deeds of any size (Row, Village, Town, or City). Raffles will be held monthly (total deed numbers may vary each month). Winners can claim their deed(s) simply by logging into the game and claiming rewards at any bank. Earlier this week Scott “Lum” Jennings posted our latest request for NPC submissions for Brittany Wharfs and Northwood. This is for Developer+ level backers who are eligible for the “Design an NPC” reward “Help create and name a character in the game”. 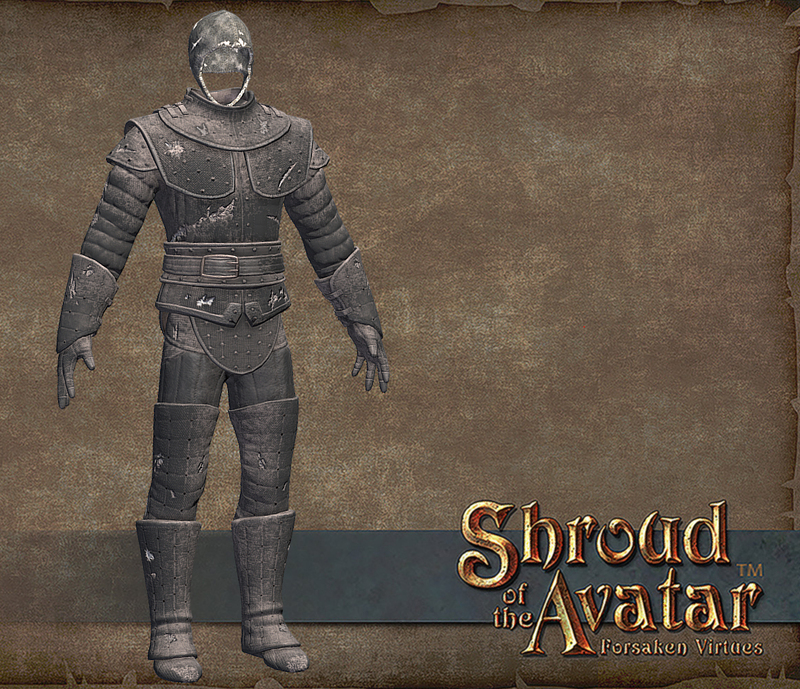 Thank you for your continuing support of Shroud of the Avatar! This month, we’re seeking entries for inhabitants of the neighborhoods of Brittany Wharfs! Yes, it’s finally time to start populating the largest city in Novia, the jewel of New Britannia and the home of so many adventures. 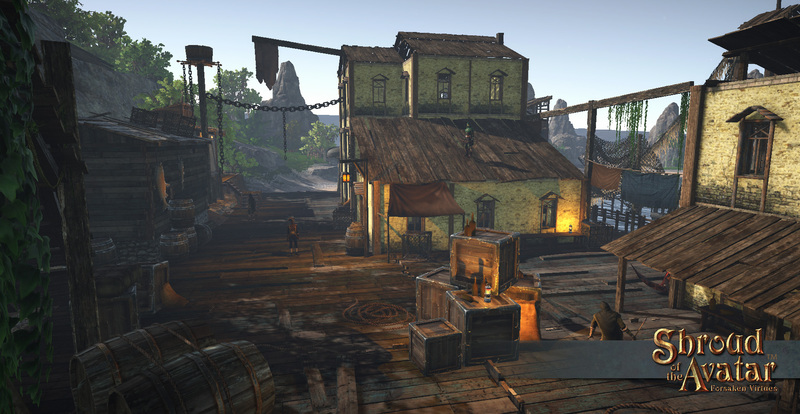 The Wharfs are an area heavily focused on trade, merchants, and crafting. The main harbor hosts a lot of boat traffic at its peak. North of the harbor is the Warehouse District. Rails line the streets to facilitate the transportation of cargo from the warehouses to the harbor. The wharfs of Brittany see traffic of an entire continent come through its docks, and many fortunes are made and lost among its tides. Note that Brittany Wharfs is not the only area we will be seeking submissions from for R53. 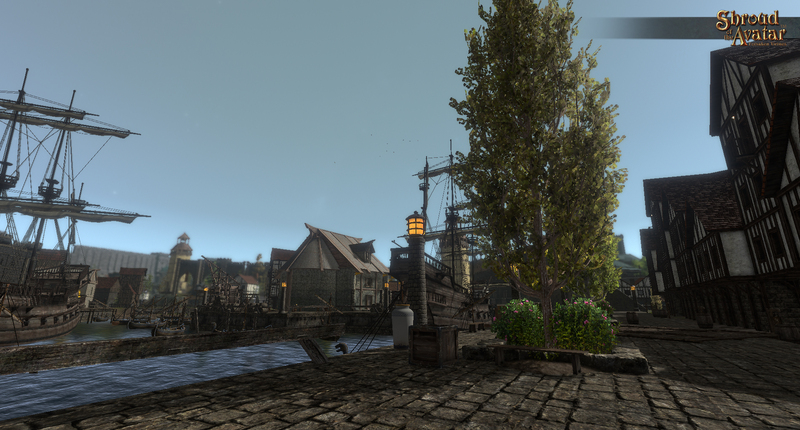 If you do NOT want your backer NPC to be in Brittany Wharfs, you may want to wait. I will update this thread if we are running low on submissions – generally we are OK on duplicate submissions for characters who don’t get adopted (such as guards) but if you absolutely have a character who should be in a given city (such as Brittany) you should wait until we advertise for that city. 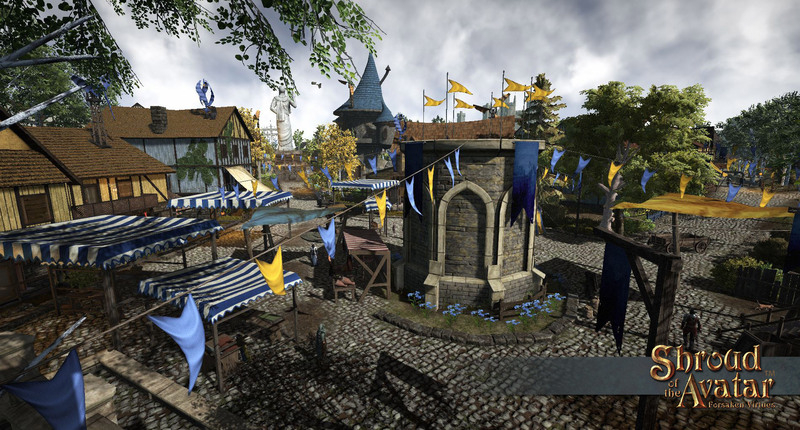 Brittany Wharfs, while not technically a “clone” of an older scene, has many NPCs which are not currently unique. 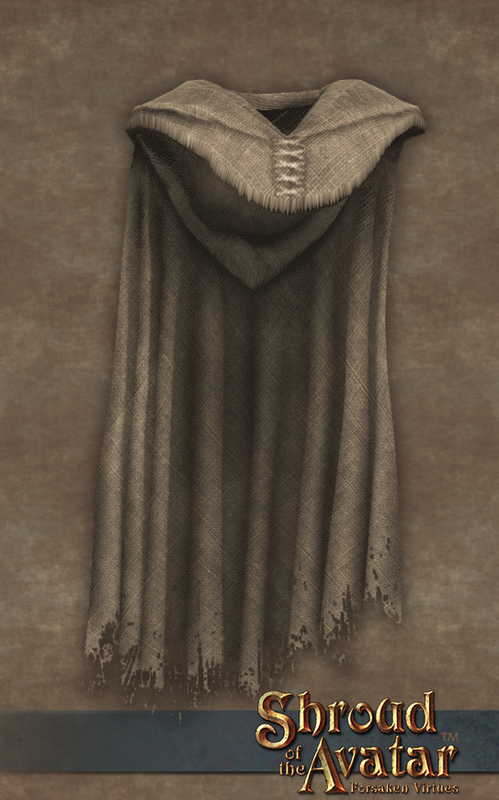 Thus, the NPCs are already in the game, but we can change appearance (to a degree, as seen below), gender, etc. to suit your request. If you want to pick a specific NPC (for example, one near your own house) we will do our best to accommodate you but may not be able to. NPC visual customization, as you may have noticed, is still at a very early stage in development. Right now for the backers who want to be added to Northwood, we cannot offer any visual customization options beyond our standard gallery of NPC models. If you would like to have input over the visual customization of your NPC, you can wait for further releases when we can offer this. We will also allow a one-time visual re-customization once customization has been added if you would like to add your NPC now. Response to this will be on a first-come first-served basis for each call for responses. If your NPC doesn’t appear in Brittany Wharfs, feel free to respond again in future posts. We have quite a few towns and cities to populate! 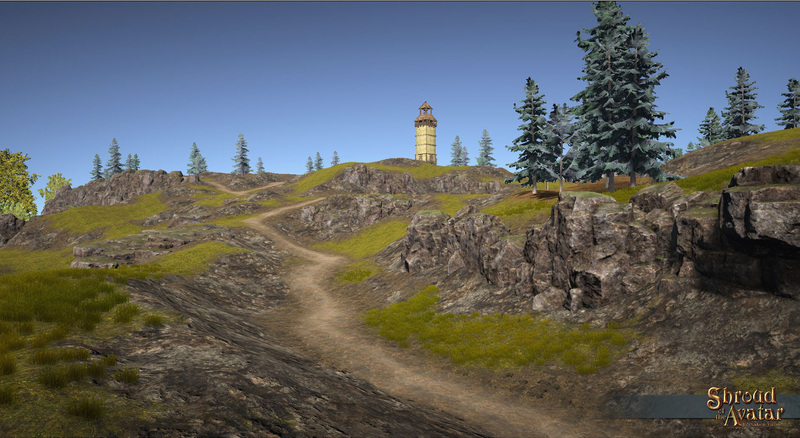 We are allowing people who have already submitted NPCs to submit their ideas for Brittany Wharfs as well if they like, but people who have not yet submitted an NPC will take priority over those who have. NPCs for Brittany Wharfs should be human only, please. NPC background (optional): A paragraph on whom your NPC is, how they would respond to nosy outlanders poking about their business, what brings them to Brittany Wharfs (or keeps them there), or anything else you’d like to add. We reserve the right to edit and/or reject any background that does not fit the lore and setting of the game. Please specify in your submission that this NPC is for Brittany Wharfs. 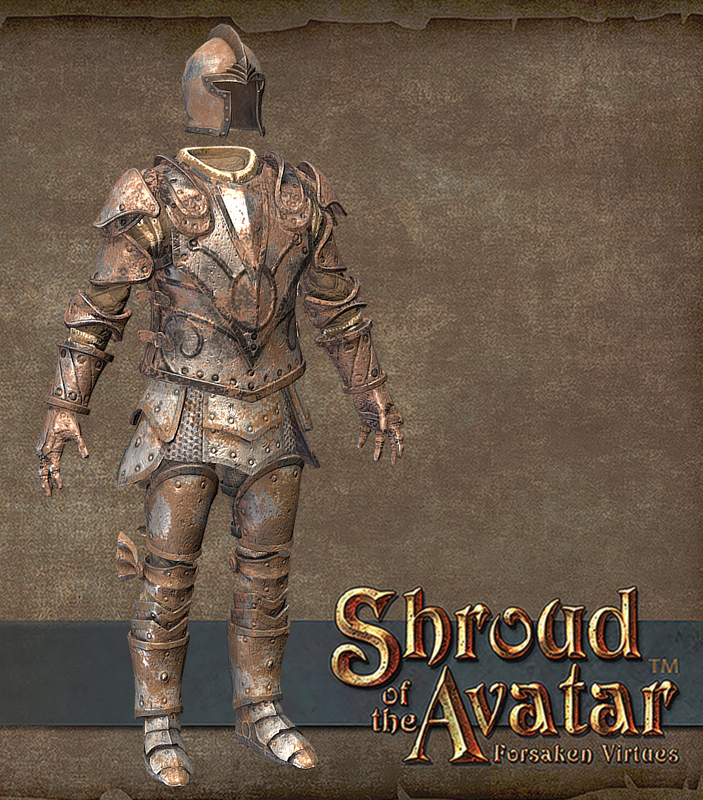 Thank you for your continuing support of Shroud of the Avatar! This month, we’re seeking entries for inhabitants of the town of Northwood! Recently “uncloned” in Release 52, Northwood is beyond the grasslands far north of Brittany, near the western coast of Spindrift Bay in the North Paladis region. 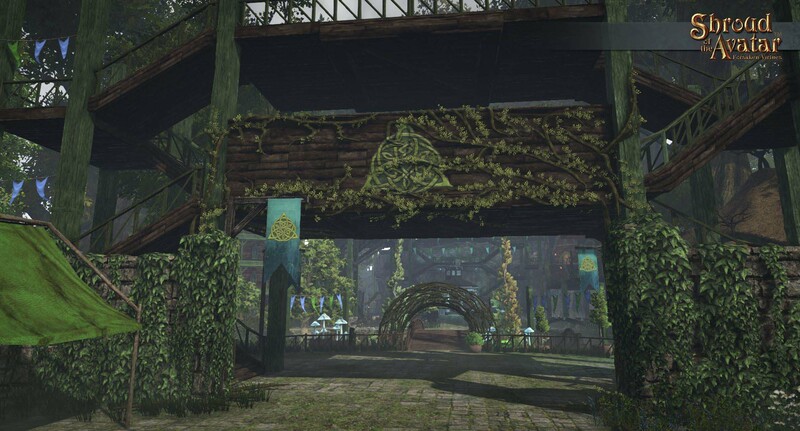 Rumors are spreading that the town boasts some remarkable similarities to locations on Earth known as Britannia Manor and Castleton, but surely that must be coincidence? Note that Northwood is not the only town we will be seeking submissions from for R53. If you do NOT want your backer NPC to be in Northwood, you may want to wait. I will update this thread if we are running low on submissions – generally we are OK on duplicate submissions for characters who don’t get adopted (such as guards) but if you absolutely have a character who should be in a given city (such as Brittany) you should wait until we advertise for that city. 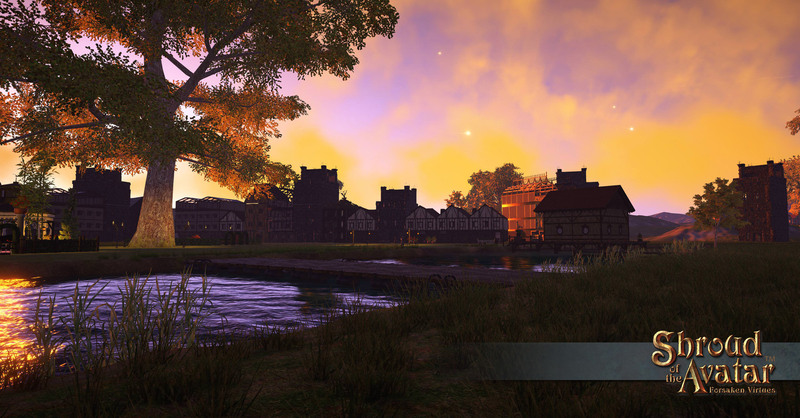 Northwood is one of our “uncloning” scenes, where we go back and fill out unique content for each village and city. Thus, the NPCs are already in the game, but we can change appearance (to a degree, as seen below), gender, etc. to suit your request. If you want to pick a specific NPC (for example, one near your own house) we will do our best to accommodate you but may not be able to. Response to this will be on a first-come first-served basis for each call for responses. If your NPC doesn’t appear in Northwood, feel free to respond again in future posts. We have quite a few towns and cities to populate! We are allowing people who have already submitted NPCs to submit their ideas for Northwood as well if they like, but people who have not yet submitted an NPC will take priority over those who have. NPCs for Northwood should be human only, please. NPC background (optional): A paragraph on whom your NPC is, how they would respond to nosy outlanders poking about their business, what brings them to Northwood (or keeps them there), or anything else you’d like to add. We reserve the right to edit and/or reject any background that does not fit the lore and setting of the game. Please specify in your submission that this NPC is for Northwood. Thanks for your support, and see you in Northwood! 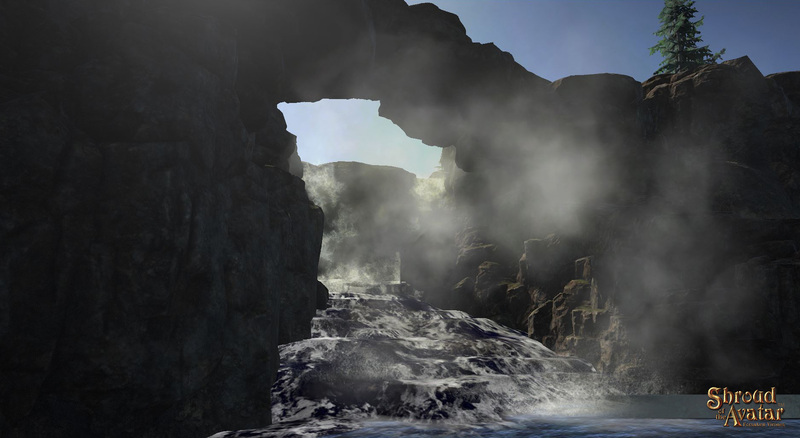 If you’d like to join the Portalarium Tribe working on the ground-breaking Shroud of the Avatar game, please submit your resume to [email protected]. Provide links to your work (if possible), including gameplay, video footage, and document forms (images, maps, and event descriptions). Join us in New Britannia for free today! 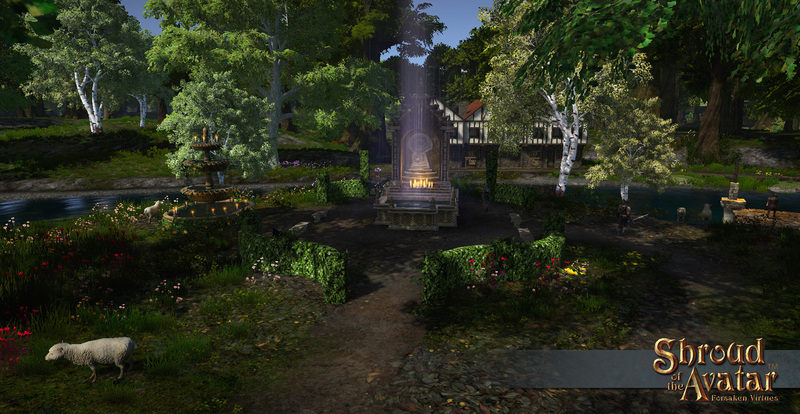 In Release 52 we added Ornate Elven Planting Beds and Pots for use in Agriculture. In celebration we are placing all our Elven items on sale! 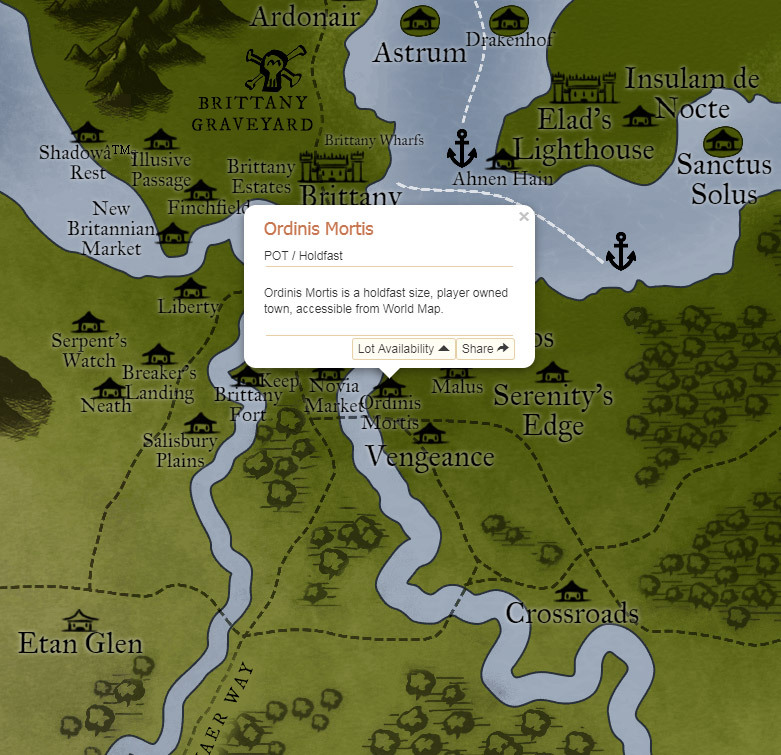 For this week’s spotlight, we toured the famous town of Ordinis Mortis. The town is located conveniently just south of Brittany and across the river from Novia Market. 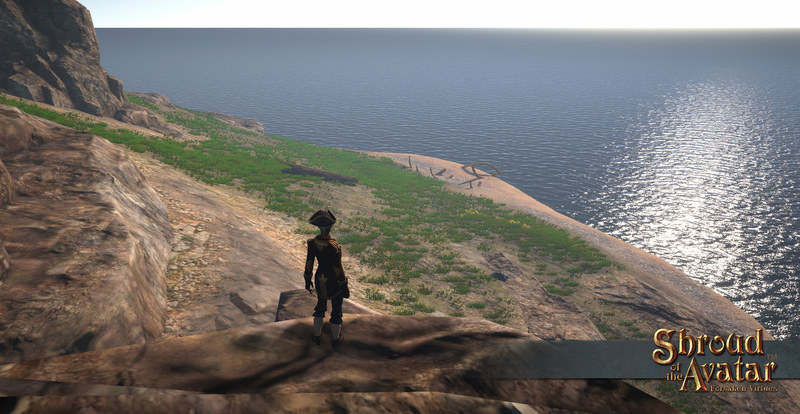 After a few days journey, we arrived safely on the island to be greeted by lady governor Minerva. 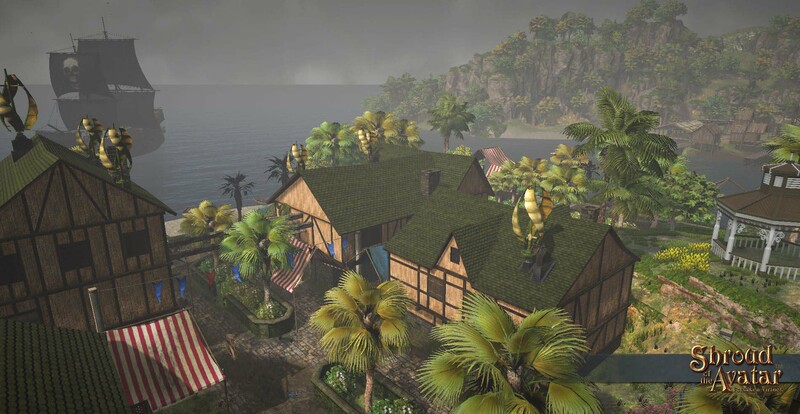 We were eager for a tour of this famous town that’s hosted countless events for the citizens of New Britannia, including a relaxing inn along the riverside called ‘The Two Vikings Brewing Co and Inn’. From Sheamus McGuinness: THE GAUNTLET is basically a combination of American Gladiators & American Ninja Warrior. 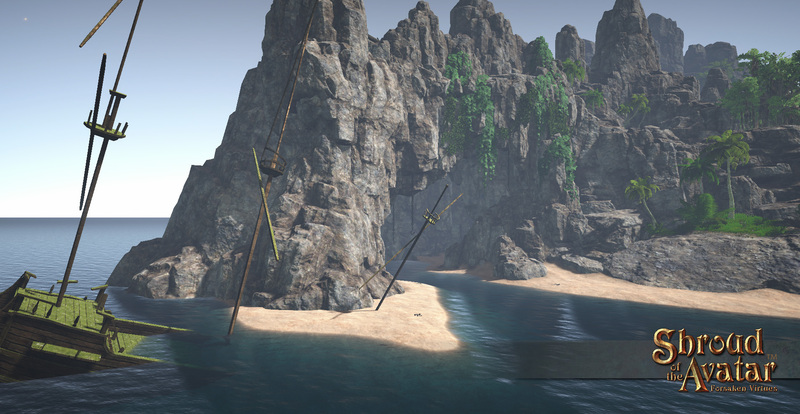 This timed obstacle course is run by a single Avatar and the fastest time is the overall winner! Competitors can look forward to TOP PRIZES for the winner and runner up. The Gladiators will do their very best to slow you down using a variety of magic spells along the course. 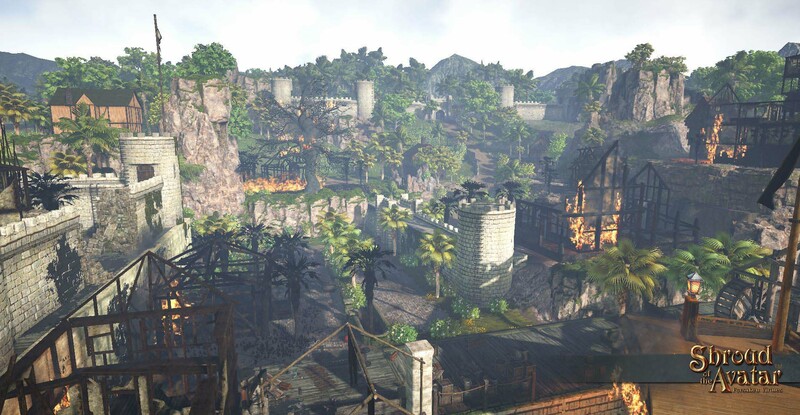 Join us on The Hidden Vale at 7pm NBT (CST) in the Underworld PVP town of Chaos Caverns (connected to Virtue Oasis in the SW corner of Hidden Vale). Practice the course from 7:00 pm to 7:15 pm and get those skills down! 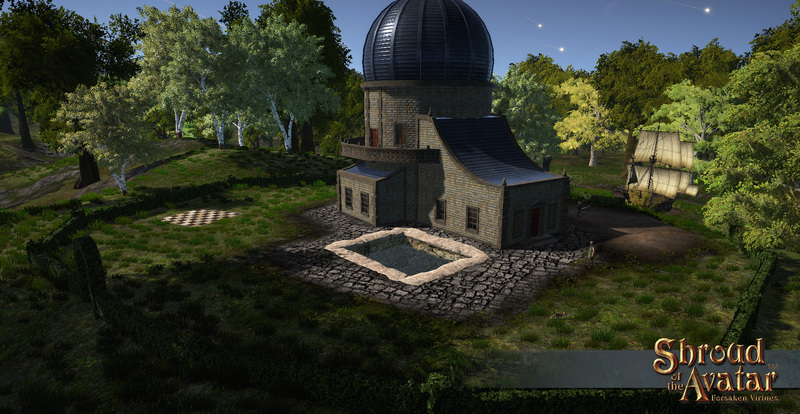 This is a FREE event that is suitable for all levels of Avatars, join in the fun! Teleportation avatar is Sheamus McGuinness. New Britannia is full of wonderful impressions. We want to highlight all the moments of beauty, virtue, danger, and wondrous discoveries that inhabit the land. We invite you to capture your moments in New Britannia in this ‘Impressions of New Britannia’ – Launch Screenshot Contest! While we have categories to focus on above, winners will be judged purely by quality and originality of the screenshot. 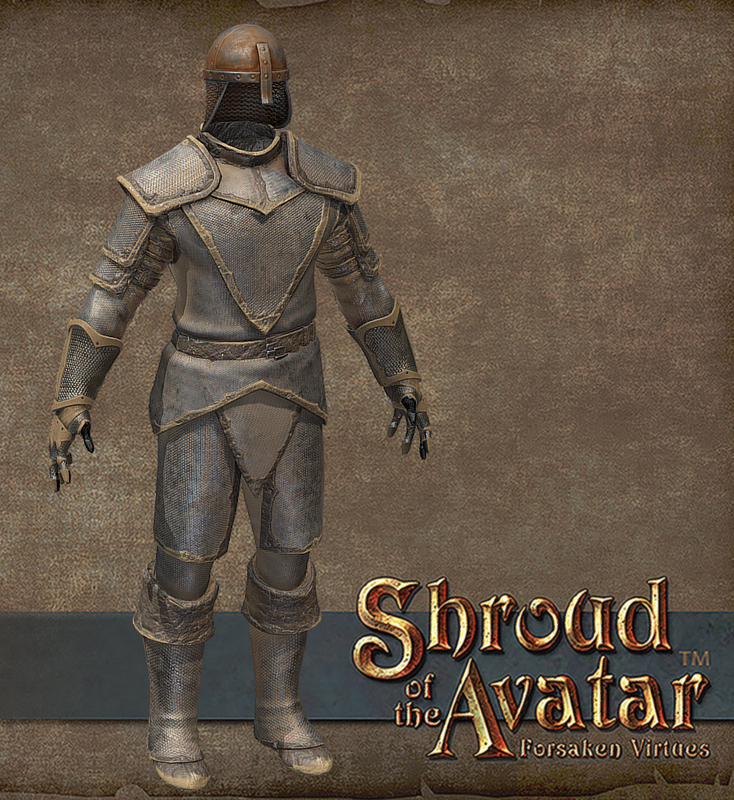 We will also be selecting 5x random winners for an additional 25 COTOs each for those who share their top screenshot on Twitter and/or Facebook (you can win both here and in the above categories, so be sure to post in the forums and link your post on social @ShroudOfAvatar for Twitter and @shroudoftheavatar for Facebook))! Avatars! This is Elgarion from @SotAHelp with a regular “Did You Know?” feature. Expect to see these posted regularly on community channels, and here in the weekly update. 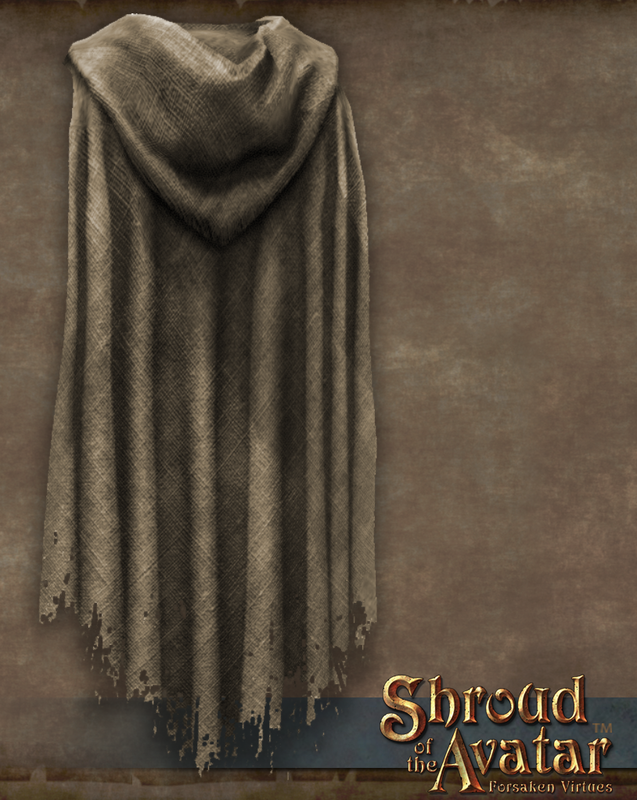 Did you know books in @ShroudofAvatar are fully functional and can be placed as home decorations? Write your own! Write in runic! Become a publisher! Run a bookstore! Customize book covers with Patterns! Collect! Trade! Bookworms rejoice! We will be rotating these Did You Knows with Getting Started Videos and other related posts. If you have a tip to share, please send them to Berek! Registration for SOTACON Austin is now open! Admission tickets, cloaks, and VIP packages are on sale at the event’s Eventbrite page. Your admission ticket most general activities. Details are forthcoming as convention sales get underway. 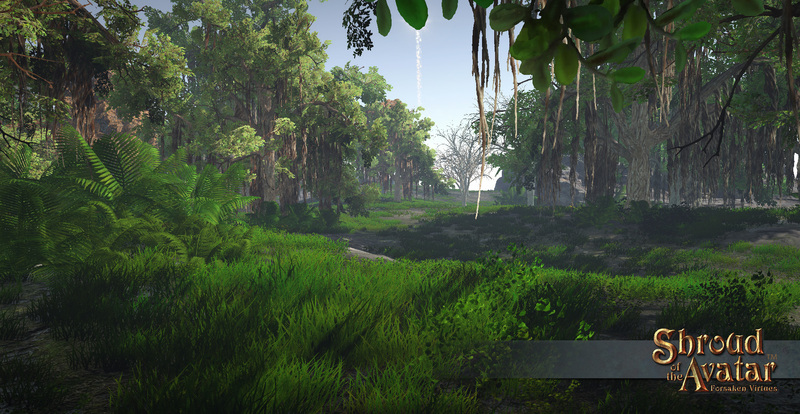 A community run event, SOTACON Austin is the place for interaction with the developers of Shroud of the Avatar and having fun celebrating your time in the game. For the players and completely run by the players, this second convention in Austin brings new activities and great opportunities for attendees and SotA developers. Join your fellow community members this coming October 11-13, 2018 in Austin, TX!